The Flexibility Toolbox – a study on potential measures enabling flexible operation of coal fired power plants – was formally handed over to Indian partners on 19 April 2018. In 2017 the German Federal Ministry of Economic Affairs and Energy (BMWi) initiated a study on available technologies for flexible operation of thermal power plants – the Flexibility Toolbox. 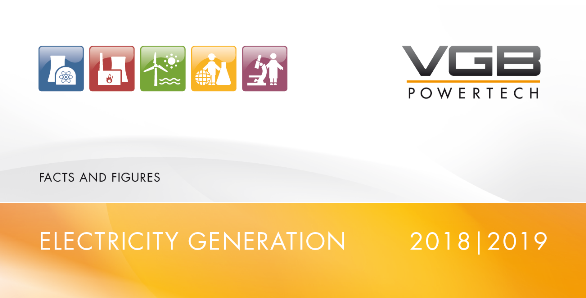 This study has been compiled by VGB PowerTech e.V. and its Indian partner organisation EEC (Excellence Enhancement Centre) jointly with Steag Energy Services GmbH under the auspices of the Indo-German Energy Forum (IGEF). Meeting at BMWi in Berlin under the leadership of Aniruddha Kumar, Joint Secretary from the Government of India, Wolfdieter Böhler Head of Division, Bilateral Cooperation BMWi – below left; further persons: Prakesh Tiwari (NTPC) and Tobias Winter (GIZ) – below right; upper row from left to right: Rainer Aulfinger (Siemens), A.K. Sinha (NTPC), Jörg Uehlin (GIZ), Hendrik Meller (GIZ), N.K. Sharma (NTPC) and Claudia Weise (VGB PowerTech). Flexible power plant operation is one of the key topics within the bilateral energy cooperation between India and Germany. The toolbox was handed over to the Indian partners during a meeting of IGEF sub group 1 – focusing on coal based power plants – which took place in Berlin on 19 April 2018. The toolbox intends to support the change of paradigm in the operation of thermal power plants – from base-load to flexible operation. It reflects that this change process requires suitable technologies, skilled people and leadership with foresight. The toolbox includes 40 different flexibility enhancement measures that require a plant retrofit or major technical intervention. With our newsletter you will always be up to date.